Bring your friends and family for some mid-week fun, rain or shine. Great for home schools! Tuesdays from 12:30 - 2:00 pm. 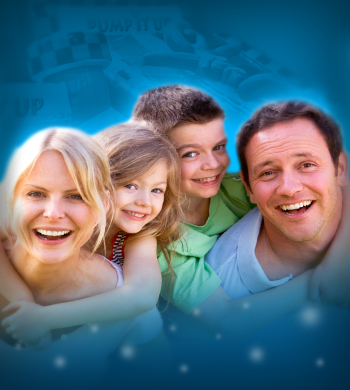 Join us for a fun, all-ages Family Jump Night every month. It's a great way to get out of the house, burn off some energy and make new friends in our climate-controlled, inflatable arenas. Held on the 2nd & 3rd Fridays of every month from 4:30-5:40 pm. Kids are $9 each (plus taxes) - adults and crawlers are free! All ages welcome! Check our Calendar for the current schedule. We’ve added fun games and activities to our great Open Jump program! 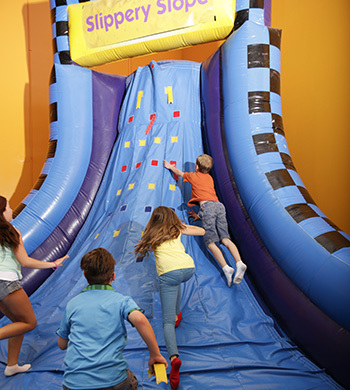 In addition to our fantastic inflatables we’ve added age-appropriate activities that will help your child develop coordination, balance and agility. Come play with a parachute, jump through hula hoops, navigate a curved balance beam,learn to juggle with scarves, and more! Our Open Jumps are a wonderful venue where your pre-K child (ages 6 and under) can have the time of their life. Our massive inflatables spark their imaginations to run wild, and it’s not only fun for the kids, but also provides a healthy workout that burns off excess energy and helps keep them fit. Spend time with your family and make new friends in a safe, clean, climate-controlled environment. Reserve a spot in advance by booking online! Check our Calendar for the current schedule. Our great Open Jump program just got a bit better. On top of the always-fun arena play time we've added art projects. 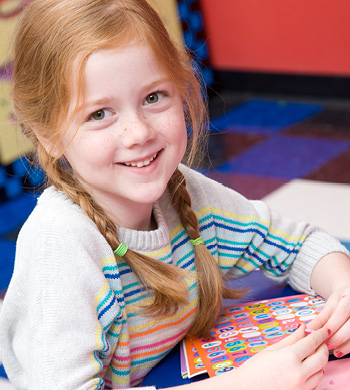 Now you can have a great morning at Pump It Up and exercise both your child's muscles AND their creativity! Our Open Jumps are a wonderful venue where your pre-K child (ages 6 and under) can have the time of their life. Our massive inflatables spark their imaginations to run wild, and it’s not only fun for the kids, but also provides a healthy workout that burns off excess energy and helps keep them fit. Spend time with your family and make new friends in a safe, clean, climate-controlled environment. Our great Open Jump program just got better - with Bubbles! 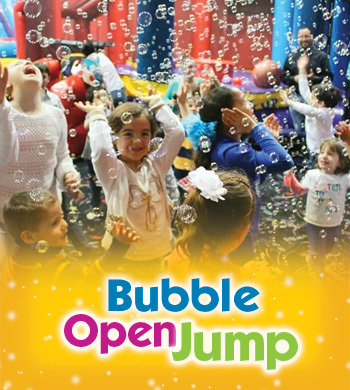 We'll have several bubble showers during our Bubble Jump sessions for your child to enjoy if they choose.